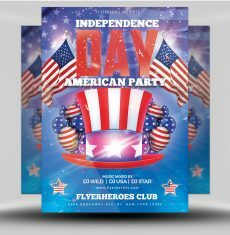 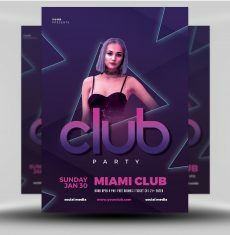 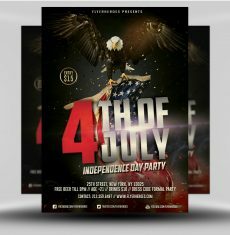 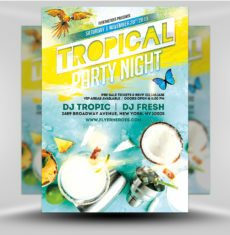 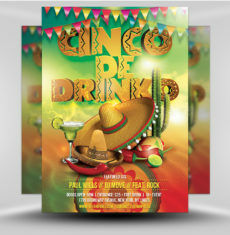 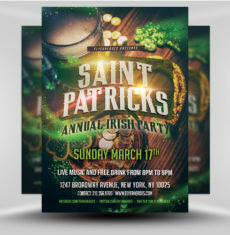 Promote your next themed night with this beautiful Club Flyer! 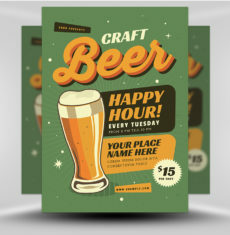 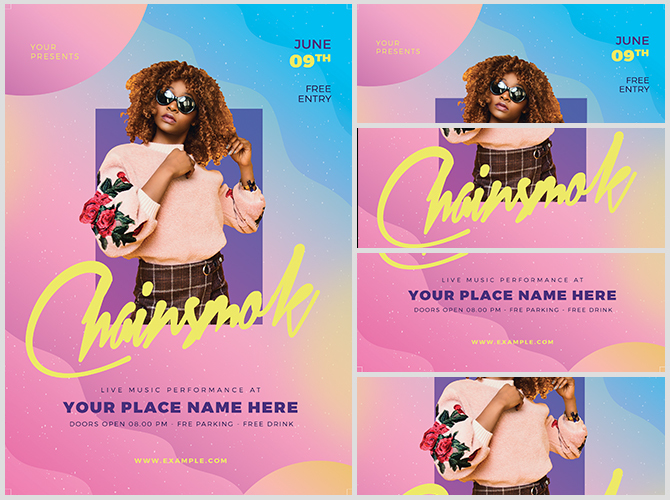 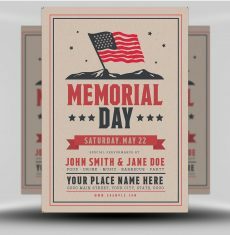 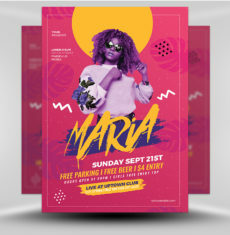 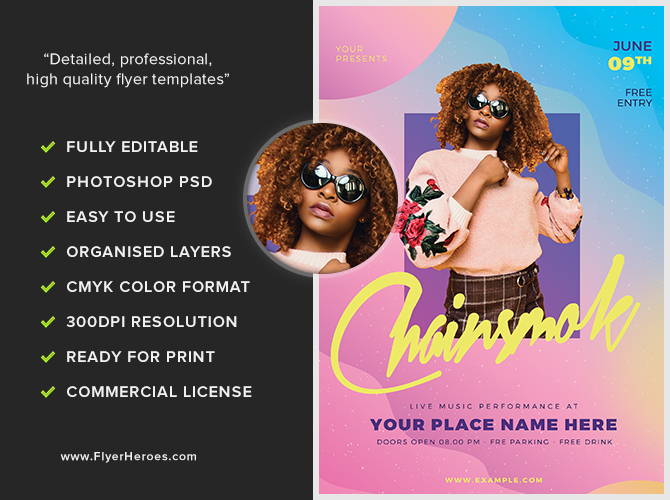 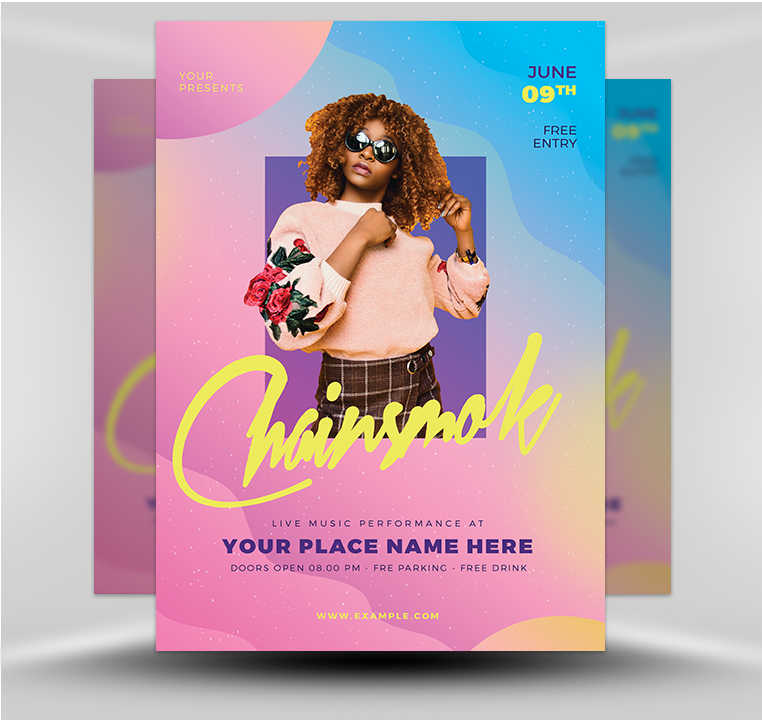 This flyer uses a pastel color palette of pink, purple, peach, and blue, with yellow lettering for contrast. 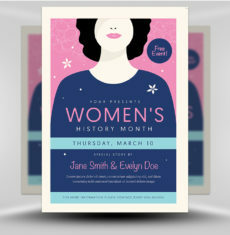 Every element in this design uses a flat, gradient effect, for a thoroughly modern design. 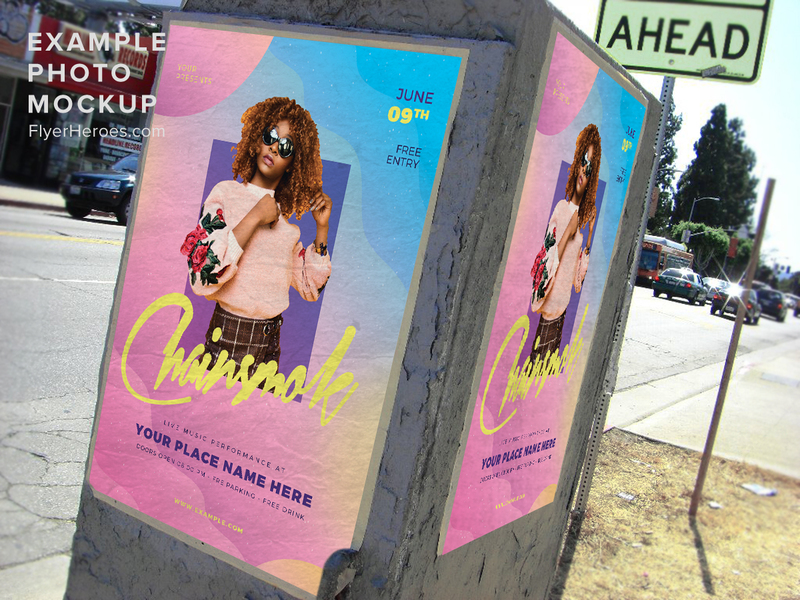 The model appears over a purple rectangle, appearing to pop off the page. 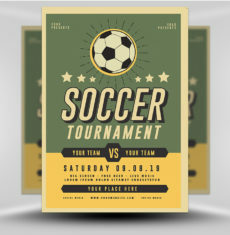 The event title uses a flat yellow color and flowing, font, relying on contrast to draw the eye. 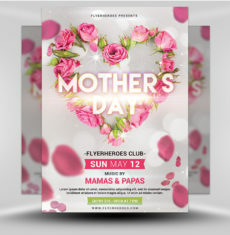 Additional event details appear below in a dark purple. 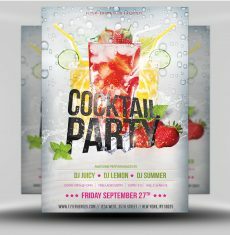 The overall feel of this flyer is one of modernity and simplicity, perfect for your next event!